NILES  Richard L. Taylor, 62, passed away on Wednesday, Dec. 12, 2018, at St. Joseph Hospital in Warren. Rich was born Nov. 13, 1956, in Youngstown, a son of Richard L. and Mildred (Tillery) Taylor Sr.
Rich was a 1975 graduate of Girard High School and had worked as a tow motor and crane operator for YSD and V&M. He was also a proud member of the NRA. 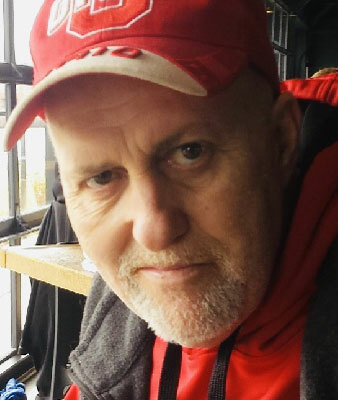 Rich was an avid outdoorsman, enjoying camping, fishing, hunting and was a die-hard New York Yankees, Cleveland Browns, and Ohio State Buckeyes fan. He was a devoted husband and father who leaves to cherish his memory, his wife, Anette M. (Baker) Taylor, whom he married Sept. 29, 1990; son, Dylan (Jordyn) Taylor of Niles; and daughter Autumn Taylor of Niles. Besides his parents, Rich is preceded in death by his son, Richard L. Taylor III and his beloved grandmother, Margaret Taylor. Services will be held at the Blackstone Funeral Home in Girard, with calling hours on Sunday, Dec. 16, from 2 to 4 p.m. and the funeral on Monday, Dec. 17, at 11 a.m.
« Be the first to sign RICHARD L. TAYLOR guestbook.